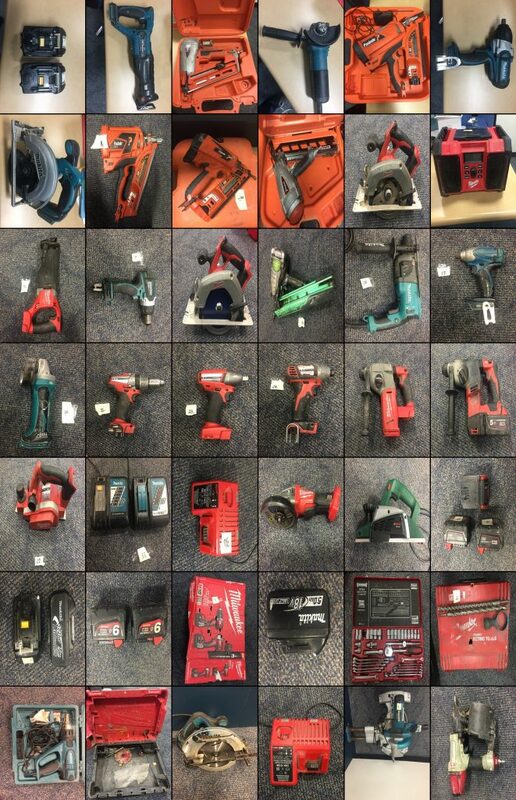 Police are looking to reunite stolen power tools with their Gold Coast owners. Last week, a large amount of nail guns and other tools were handed to Runaway Bay police station by a man who had been selling tools bought from an online marketplace. The man had been contacted by a person who saw the items for sale and claimed a number of them had been allegedly stolen from his work trailer earlier this month. After investigations, a 35-year-old Southport man was charged with two counts of receiving tainted property and one count of enter premises and committing an indictable offence. Anyone in the Gold Coast area who has had tools stolen over the last year and may recognise the property as theirs is being urged to contact Police. It’s time to start polishing off your boots and pulling out the akubra, because this weekend the Broadbeach Country Music Festival rides into town. Streets, parks, bars and restaurants in Broadbeach will come alive with country tunes this Friday to Sunday, with some incredible acts set to perform for FREE. Locals will be able to enjoy live performances by some of the best country music stars in the world, including international band ‘America’, Kasey Chambers and Troy Cassar-Daley to name a few. Troy Cassar-Daley told myGC he loves performing at the event. “Other than the fact that it is free, I really love the spirit that gets going around Broadbeach. You can sit down for a nice meal and you’ve got live music blaring across a mall towards you,” he said. WORK will start this morning to expand Metricon Stadium at Carrara for next year’s Commonwealth Games. Today’s ground-breaking ceremony will signal the start of work on the warm-up facility next to the main stadium. With 251 days to go until the Games begin, work on expanding seating capacity in the main stadium, including the northern stand, will begin later this year. Once work is complete the stadium’s capacity will be increased from 25,000 to around 35,000 spectators. The stadium will be the signature event precinct for the Games, hosting the Opening and Closing ceremonies as well as the prestigious track and field events. A temporary 400-metre track will also be installed, to meet specifications of the International Association of Athletics Federations (IAAF). The lighting towers around the venue will be re-birthed with the addition of 468 new energy-saving light fittings on the tower head frames and under the stadium roof. The lighting will be brighter, and flicker-free to handle international TV broadcasts, particularly for slow-motion cameras. Once the Games have ended, the stadium will revert to being the home of the Gold Coast Suns. Gold Coast City Council says it will go ahead with the sale of the Bruce Bishop car park despite hundreds of people rallying against the move on Tuesday. 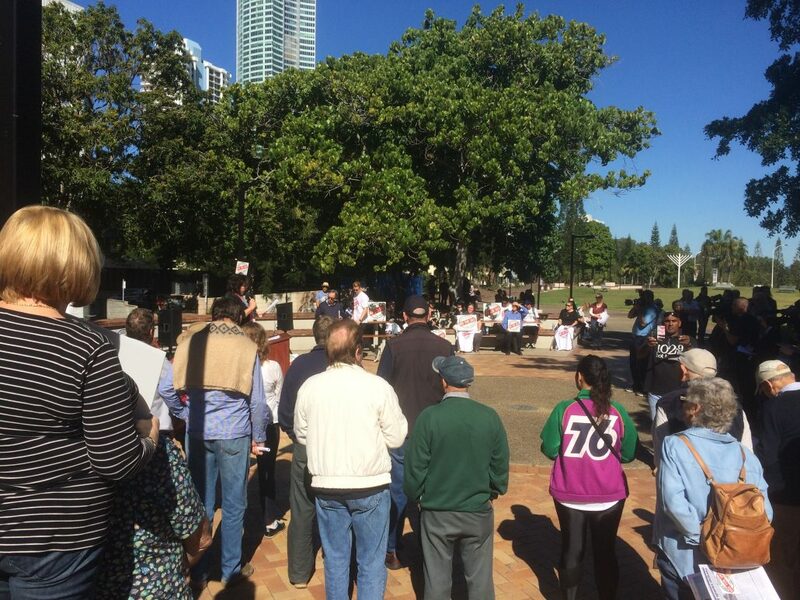 The public rally, organised by the newly-formed Save Surfers Paradise group, took place in the Neil Shannon Park on top of the Bruce Bishop. Scores of passionate local Gold Coasters and prominent business people turned out for the event, hoping to freeze the sale until at least legal action challenging the sell-off is settled. However a motion by local Councillor and former Mayor Gary Baildon to put the sale on hold was defeated 10 to five in council chambers on Tuesday afternoon. The block is expected to be put up for sale by October. Opponents of the proposed sale of the Bruce Bishop Car Park in Surfers Paradise are gearing up for today’s public protest rally. The rally, organised by the Save Surfers Paradise group, will be held in the Neil Shannon Park on top of Bruce Bishop from 1:00pm. Organiser Deborah Kelly said there’ll be major parking issues in Surfers Paradise and surrounding areas if the Council succeeds in selling the facility. City of Gold Coast said 740 spaces will be available for public parking at the end of the redevelopment period. However Ms Kelly told MyGC while the site is being developed, the heart of the tourist strip will be a nightmare. “There will be zero parking at the site, zero, for at least three years while the site is redeveloped,” she said. “So during that period we will have no parking in Surfers. Mayor Tom Tate was unavailable for comment when approached by MyGC for an interview. However, in July 2005 the now Mayor told the Gold Coast Bulletin the transit centre should be left alone. “We won’t wear it,” he said. Mr Tate said the council’s car park usage figures were flawed and they should seek a second opinion. 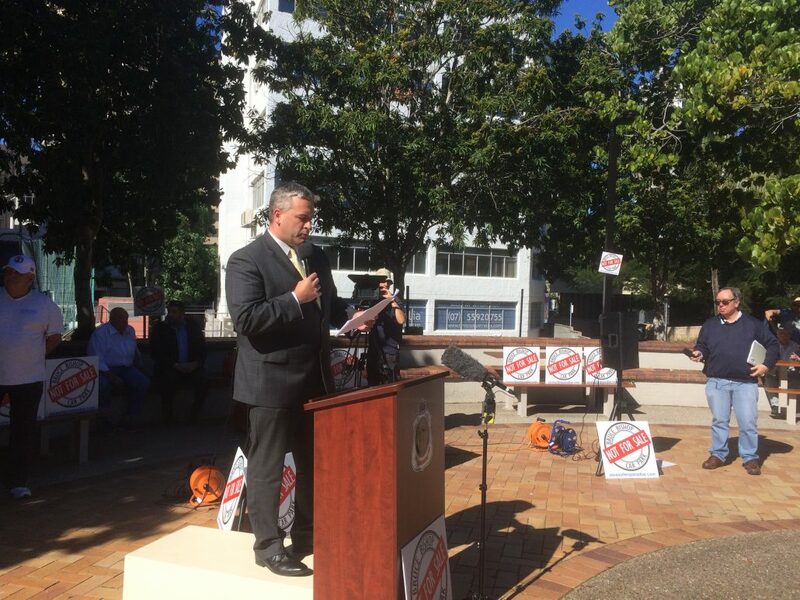 LNP Member for Surfers Paradise, John-Paul Langbroek, said the move to sell the car park was a very short-term decision which would have long-term consequences for the city. “We have issues like the Hilton Hotel where residents and short-term holiday makers are often put into the Bruce Bishop car park,” he said. “Not everyone can catch light rail.